They said we were crazy, but crazy makes the world go ‘round. ic! berlin revolutionized eyewear with their very first frame – a screwless sheetmetalframe. How does screwless eyewear work? With an ingenious removable clip that holds the frame and temple together at the hinge. Every ic! berlin frame features this remarkable hinge, meaning every frame can be broken down into its individual parts and reassembled quickly, easily, and without any extra tools. No screws. No glues. No welds. No witchcraft. Pure design. Unbelievably light, incomprehensibly flexible and built to last a lifetime, ic! berlin eyewear is handmade piece by piece in the heart of Berlin. In an former East German industrial bakery ic! berlin designs, manufactures and markets eyewear for kids, men, women and everyone in between. ic! 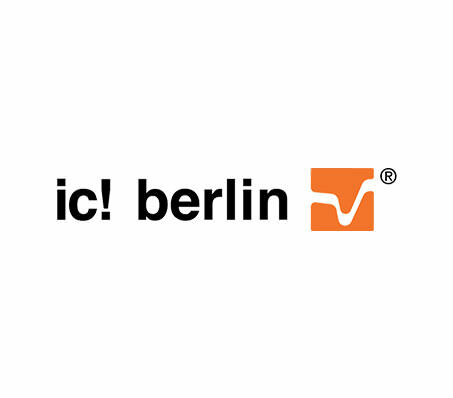 berlin can be found in the best opticians all over the globe, from Berlin to Bangkok, Moscow to Melbourne, Santiago to Shanghai, Casablanca to Cape Town, Kyoto to Kansas City... you get the idea.